Okay! I finally had the chance to use a Microsoft Hololens! We currently have one in the office. This thing of tech is amazing! Even though, it is just a developer kit, it feels really advanced. That’s what you can expect at the price point of 3.299€! Lets not talk about the content of the box. Let us talk ebout the features of this high-tech thing. The Hololens, as you may know, can project holographic visuals into your vision. That’s called Augmented Reality. “Alien technology” you think? Wait for the other features! It can scan your room to create a spatial mapping. It can use this spatial map for spatial sound. Those features work very well! The spatial mapping tech, as I assume, is a downsized Kinect. Works fine and really can track the surfaces in your room. It’s not only crucial for spatial sound but can be used to display holograms on walls or have world interaction (like a hologram walking on a table). As for the spatial sound, I could not test it properly. So stay tuned for updates on this. The voice controls do also work fine. It’s a bit clumsy, as you really have to talk it out loud but when Cortana understands you, it does what you say (if Cortana knows your commands, of course). And there is the gesture control… that really makes me crazy. I simply don’t understand how they achieved it. It is perfect. By standard there are three gestures you can use. It’s an “air-tap”, holding the tap and the “bloom”. The air-tap is clicking and the bloom the menu-start. 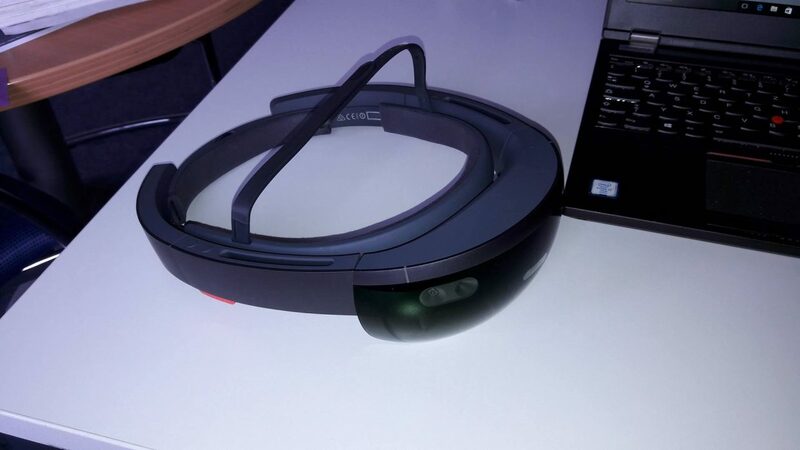 The experience can start after a tutorial the Hololens provides. Here you learn about the controls (the taps) and the gaze, the cursor which is in the middle of your field of view! Windows 10, Visual Studio, Unity and a gazillion extensions for Visual Studio and .NET: Those are the ingredients for a Hololens app! You can create a scene in Unity as you are used to and you just have to edit the built settings for the Hololens. For details, I can recommend you the Microsoft Hololens Tutorial. 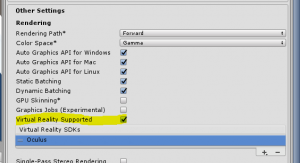 And if you come to the point where you can’t see any visuals (as I did): You have to enable VR in the player settings! It is real fun, though I really had serious headaches after using it for an hour. In the end I can recommend you to check it out, whenever you are at a faire where they give you the opportunity to use it!